When I was a boy what I wanted to be when I was older changed regularly – I wanted to be a teacher, then a weather man and then a journalist and then it was a solicitor. As I grew older and had to seriously consider my options at GCSE followed by A-levels, the doubts crept in – would these jobs be suitable for me? Would the communication barrier be too great? ‘Focus on what you are good at’ I was told and I settled on the biological sciences in the end, following in my parents’ footsteps. Working in laboratory should be ok for a deaf person – there will be opportunities there, I thought to myself. I was right – there were opportunities. After graduating in Genetics, I worked in a lab for a few months but I soon realised that this type of work was not for me. It was not because I was deaf – I know a few deaf scientists and they love their work. I just felt I had not followed my passions and had settled for the safe option. It was in 1995 that I took my GCSEs and it was only in that year that disability discrimination laws were introduced. Access to Work, a Government scheme which can cover the costs of communication support in employment, was launched at the same time. I did not know anything about Access to Work or about my rights in employment until much later but I wish I had. I might then have had the courage to follow my passions. This is why I believe good careers advice does matter. Sadly, our research tells us too many young people are not getting this. Schools and colleges will be expected to use the Gatsby Benchmarks to improve careers provision. One these benchmarks is ‘addressing the needs of each pupil’ – particularly important for deaf young people. Every school or college will have a Careers Leader who will be expected to prioritise careers support for ‘disadvantaged’ young people including young people with disabilities. The Careers and Enterprise Company and the Gatsby Foundation will work together to set out good practice in supporting young people with disabilities. The strategy has the potential to make a difference. Unfortunately, it is not backed by much in the way of extra funding which may limit the ability of the new Careers Hubs and Careers Leaders to reach out to significant numbers of young people. Still, it is better than nothing. The Careers Strategy only applies to England. Scotland, Wales and Northern Ireland have their own careers policies and we know there are issues in those countries too. Wherever, you live we expect deaf young people to be getting tailored advice. If you live or work with deaf young people, you too can play your part. Our website has videos aimed at young people thinking about their futures that you can signpost to. We are also looking at how we can further develop our resources around careers so watch this space! If you have any views about what we could produce – let us know in the comment boxes below. PS – I did leave the laboratory by the way. 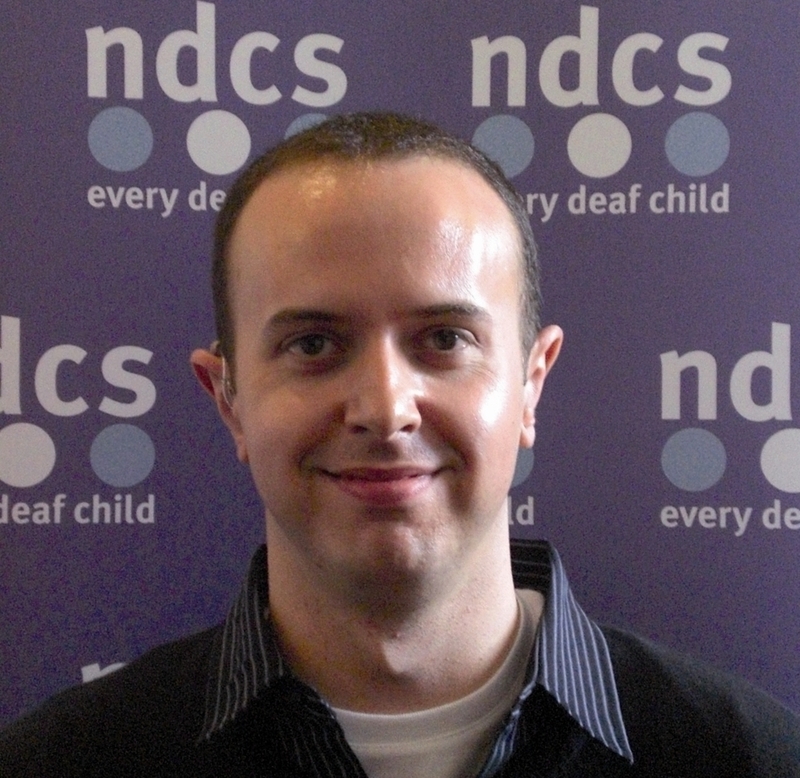 15 years, several roles and two more university degrees later, here I am as an Education and Training Policy Advisor for the National Deaf Children’s Society, a job I much enjoy! So we have a majority Conservative government! Now the dust has settled on last week’s election results, we’ve looked into our crystal balls and picked out five things to watch out for from our new Government. 1) Education spending. In their manifesto, the Conservatives said they will protect funding for schools on a per pupil basis. This means that, if the number of pupils go up, schools shouldn’t lose out. But it also means that schools might get less money in real terms if inflation goes up. It also means that funding for early years education and post-16 is not protected. So what impact will this have on spending for specialist education services for deaf children? We know from the NDCS Stolen Futures campaign that local authorities have still been cutting services, despite the protection already in place over the past five years. Will that change? 2) Will Ofsted inspections make a difference? We know that Ofsted are planning to inspect local provision for children with special educational needs and that a consultation on how they will do that is due out later this year. What’s not yet certain is the extent to which Ofsted will take a proper, more focused look on how deaf children are doing as part of this. Will Ofsted, for example, inspect specialist education services for deaf children? Indications are that Ofsted are not keen to go into this level of detail. We may need to campaign to make sure they do. We may also need to campaign to make sure that inspections are carried out by inspectors with proper expertise in deafness. 3) Is Disability Living Allowance (DLA) for deaf children under threat? The Conservatives have indicated in the past they would like to look at reforms to DLA for disabled children, having already changed DLA for adults to a new benefit called Personal Independence Payments (PIP). The Conservatives have already pledged to reduce the welfare budget by £12bn, without specifying how they will do that. 4) Audiology services. How can we make sure that audiology services are delivering a good service? Our Listen Up! campaign has found that too many aren’t. Over the past 5 years, it was the government’s policy that audiology services should be accredited under a programme called IQIPs. Yet, to our knowledge, very few have to date. What will happen to those audiology services that don’t get accredited or don’t seek accreditation anytime soon? Will the new Government insist they be closed down or will they just allow poor audiology services to coast along? Will they improve transparency over which audiology services are seeking accreditation? 5) How will the Government halve the disability employment gap? This was one of their manifesto pledges. NDCS believes that many deaf young people will need support from Access to Work to make a successful transition into employment. However, we know that the Government are looking at ways to manage the Access to Work budget, with a new cap to be introduced later this year. Will this make it harder for the Government to support disabled people into employment? Is there anything else we should be watching out for? Leave a comment below to let us know what you think. The NDCS policy and campaigns team will be working to get answers to these questions. You can help us campaign for a world without barriers for every deaf child by joining our cool club, the NDCS campaigns network today. Disability Matters – e-learning to inform and inspire! I recently attended the launch of the new Disability Matters e-learning resource with our CEO Susan Daniels. Disability Matters is a suite of online and group learning modules that aim to tackle the inequalities that disabled children and young people face in their daily lives. It was co-developed with disabled young people and parent carers and the practical tips delivered within the programme are based on real, lived experiences. Through words, pictures and signs, deaf and disabled children, young people and their families challenge learners to reflect on their own attitudes and beliefs about disability and explores the practical things people can do that could make a real difference to their health and wellbeing. So far 27 modules are live with more to come. One of the first live modules is Deaf Communication Matters which was developed by myself and Lucy Read (NDCS Head of Youth Participation). It uses video of several of our former YAB members and material from My Life My Health campaign with them sharing some of the typical barriers they encounter and showing the learner simple steps to take and adjustments to make to overcome those barriers and enable successful interaction with them. The module takes about 20 minutes to complete. The programme is designed to support organisations, their workers and volunteers across the health, education, social care, criminal justice, travel and leisure, community sectors, as well as friends and extended family, in developing the communication and problem-solving skills required to engage confidently with disabled children and young people. All resources are FREE and are designed to be easy to use and done at the learners pace. Local Offers – have you been consulted? Over the last couple of months we’ve seen the vast majority of local authorities in England publish their Local Offer. Basically, Local Offers are websites where information is published about services across education, health and social care for children and young people with SEN and disabilities in the local area. The idea behind them is that families and young people have access to information in one place which means they are better informed and have more control about the support they access. (Ok, no. 2 is a slight exaggeration) Even if you don’t use a search box function and decide to go through the various menus that exist, it is hard to find any information specific to deafness as services tend not be categorised by type of SEN/disability. By law, local authorities must consult with parents and young people when developing their Local Offer. How much did they consult with parents of deaf children? Not much, you might think. Well, thanks to a Freedom of Information request we actually know the answer – 44% of local authorities told us they did not consult with parents of deaf children. Quite often consultation has not been specific to type of disability/SEN but rather a general consultation that may have included parents of deaf children. Families of deaf children are a small group and it could be very easy for their needs to be forgotten if only general consultations are carried out. Only 29% of local authorities consulted directly. When it comes to consulting with deaf young people local authorities fare even worse with 68% having carried out no consultation with them. And it shows – I can’t imagine many young people being incentivised to explore their area’s Local Offer – they’d probably find flicking through the Oxford English Dictionary more interesting! Information tends to be very dull and far from ‘youth-friendly’ despite the fact they must be accessible to young people by law. We would like central government to do more to hold local authorities to account for having poor local offers or failing to consult properly. Local Offers have the potential to be a valuable tool. However, once again, just like the old system; it comes down to parents and young people to take action. We urge you to get involved! School can be tough at times for all children, but for many deaf children and young people it can be particularly hard. On top of the same challenges that everyone faces, such as meeting homework deadlines and working out if that girl or guy fancies you, many deaf children and young people also have to contend with having to work that bit harder to follow and understand what their teacher is saying and keep up with what their mates are chatting about. Sadly, for some, the risk of bullying can make life at school extra difficult. Research has shown that deaf students are often more vulnerable to bullying than other children. Nearly two thirds of deaf young people reported having been bullied because of their deafness, through an online poll* on the National Deaf Children’s Society’s website for deaf young people – The Buzz. Sharing a joke with classmates or joining in the break time banter might be taken for granted by hearing people. But it’s thought that the risk of ‘breakdowns’ in social communication, or looking ‘different’ because a child is wearing hearing aids or cochlear implants, can end up marking out deaf children and young people as ‘different’ and hence more vulnerable. Elsewhere, social media offers a great opportunity to overcome communication barriers but comes with its dark side of potentially exposing deaf children and young people to cyberbullying. I grew up deaf and went to a mainstream school in a small village in Leicestershire. Fortunately I feel very lucky never to have had any major problems with bullying. I could be happy about this but it’s always struck me as unfair – whether a deaf child enjoys school and avoids bullying should not be down to luck. Everyone – teachers, school staff and parents can help reduce the risk of bullying. The National Deaf Children’s Society has produced a pack of resources to support all those with a responsibility for ensuring the well-being of deaf students, including deaf young people themselves. The resources explain why deaf children might be more at risk from bullying and the simple things that everyone can do to prevent this from happening. For example, my school had lots of deaf awareness training and I was surrounded by a good bunch of friends who understood that I liked being able to chat at lunchtime in a quiet area. I also had lots of opportunities to develop my speech and language skills and access to some great equipment in the classroom (known as radio aids) which amplified everything and meant that I could usually follow what was going on. I also had lots of work done on my language and communication skills. I like to think also that my parents imbued me with a sense of confidence and assertiveness to ‘own’ my deafness and to stand up for myself if there were ever any problems. That’s not to say I never had any problems at all. I remember one time that some kids would keep “whispering” to me or covering their mouths when they spoke, knowing that I wouldn’t understand. Fortunately too, my teachers spotted this happening and clamped down on it immediately. It’s important that everyone is vigilant to the signs that a child might be being bullied, just as some of my teachers were. Many of the signs are the same for deaf children as for all children – such as disruptive behaviour, not wanting to go to school and changes in appearance, for example. But where deaf children and young people are involved, there can be some added considerations. One of the key signs that any child is being bullied is that they become withdrawn and uncommunicative. Unfortunately, there is sometimes a failure to pick up bullying in deaf children because this kind of behaviour is sometimes attributed to their being deaf, rather than as a warning sign of wider problems. The National Deaf Children’s Society’s new resources include a set of creative colourful postcards that deaf young people can pick up to quickly remind themselves of what they should or shouldn’t do in a difficult situation. Empowering deaf children and young people is absolutely essential. Deaf children and young people may need some help to understand what cyberbullying is and to know what to do if it crops up. We can’t always be there to protect them, but we can give them the tools and confidence to protect themselves. By taking a few simple steps, we can all minimise the risk of bullying and make sure that deaf children and young people have happy memories and experiences at school and leave as confident adults. More information on the National Deaf Children’s Society’s resources to prevent and tackle bullying, can be found here. *The National Deaf Children’s Society commissioned a poll in 2012 on its young people’s website The Buzz, asking deaf young people their views on bullying. The poll received more than 600 respondents.